Filipinos residing in the above-mentioned associated states and territories can renew the Philippine passport at PCG in Agana, Guam. Go to the consular outreach program (announce on Facebook) that is scheduled in different locations. Stay up-to-date of any changes in the schedule since the outreach can be cancelled or moved in a different date or venue. 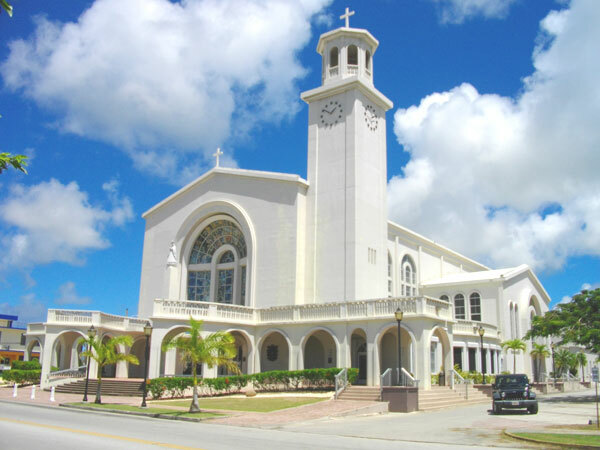 Dulce Nombre de Maria Cathedral Basilica in Guam. e-Passport Release: You can like the Facebook page of Philippine Consulate General in Agana to stay up-to-date with the list of names with e-Passport ready for pick up.